Following last year's 'Galaxies Compared' album, Belgium's Dany Rodriguez shows he is not a man to rest on his laurels as he prepares the follow up this summer, 'D'Visions'. 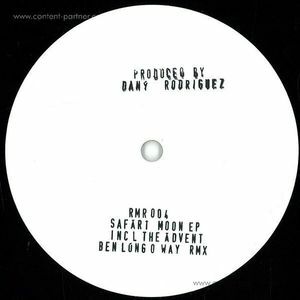 Recording for over a decade and having released a series of EPs for labels such as Kombination Research, MBR, Bush, MB Elektronics, Bulletdodge and Phobiq, Dany Rodriguez now runs his own RMR label, where his techno and electronic sound has developed and flourished into new collaborations and larger projects. 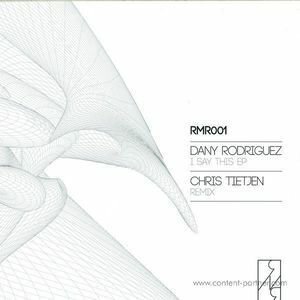 Whilst much 'big room' techno can deliver a punch devoid of feeling, Dany Rodriguez builds his tracks around warmth and emotion. For example, the album is book-ended by the subtle ebb and flow of the opening 'Natural Symphony' and the closing Detroit string-inspired 'December'. Both are full of delicate, synapse-tingling triggers that highlight his ambition as a producer to work both on and off the dance floor. Of course, Dany's natural territory lies in the rhythm and groove of a sweaty club where we can find the majority of the album. 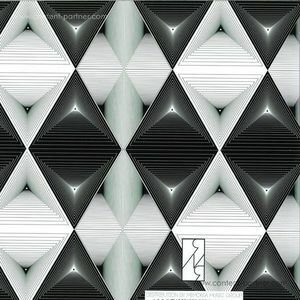 'Acid Tribute' builds into a bubbling 303 refrain that pushes and pulls between the twisted bassline, 'D Funk' takes a staccato house beat and asks 'Where's the New Jack' whilst bringing in glorious jazz motifs and the minimal, dirt trodden rawness of 'Texture' gives a healthy nod to Robert Hood's stripped-down aesthetic. Then we have the bizarre spaced-oddity that is 'Oscilo 8' where Dany pushes furthest to the outer reaches, delivering something truly strange and unique whilst 'D Visions' takes us back to the driving intensity of the dance floor. Dany tips his hat to the realm of electro on 'Tell Me When You Are Ready' and the shimmering pads on 'Deep Morning' are a perfect 6am moment from the master of melody.